25 Amp, 12V battery charger, BatteryCharge25 is an automatic battery charger with seven charge states. 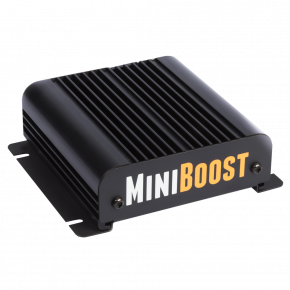 Depending on the size of the battery, output current is adjustable to 5, 15 or 25 Amps. It delivers high-performance, intelligent charging. 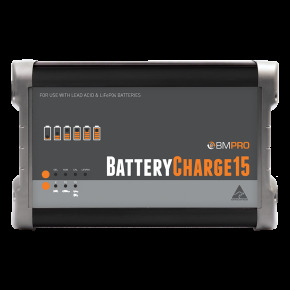 Use it with all types of 12 Volt Lead Acid batteries, such as AGM, Gel, Calcium, or Wet, as well as with LiFePO4 Lithium batteries. 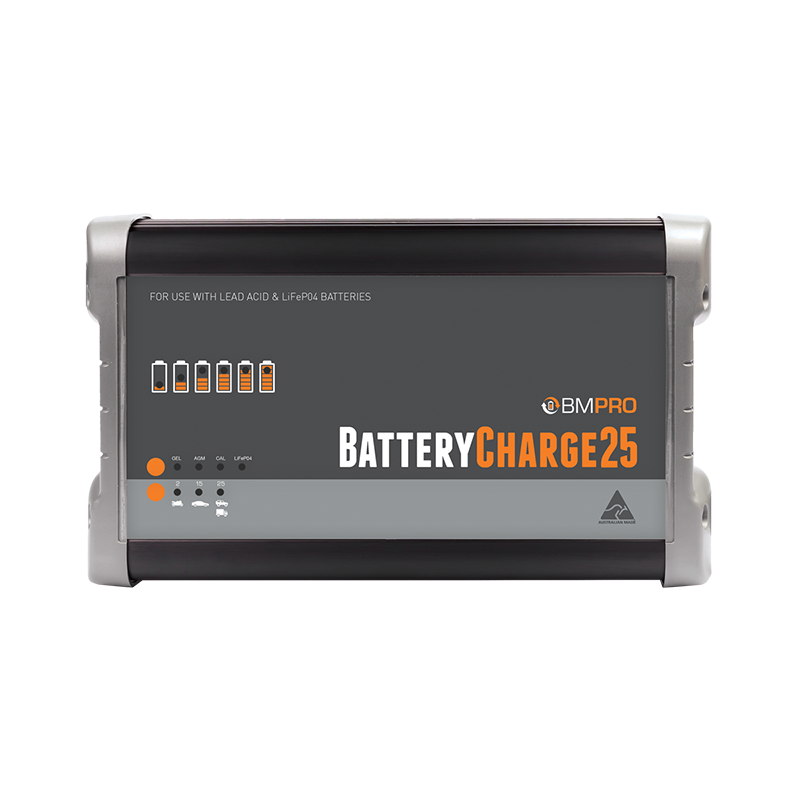 You can also use the charger to recondition sulphated lead acid batteries or revive drained LiFePO4 batteries. 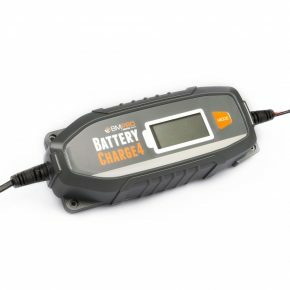 Moreover, it is ok to leave the battery permanently connected to the charger without damage or adverse effect on its performance. 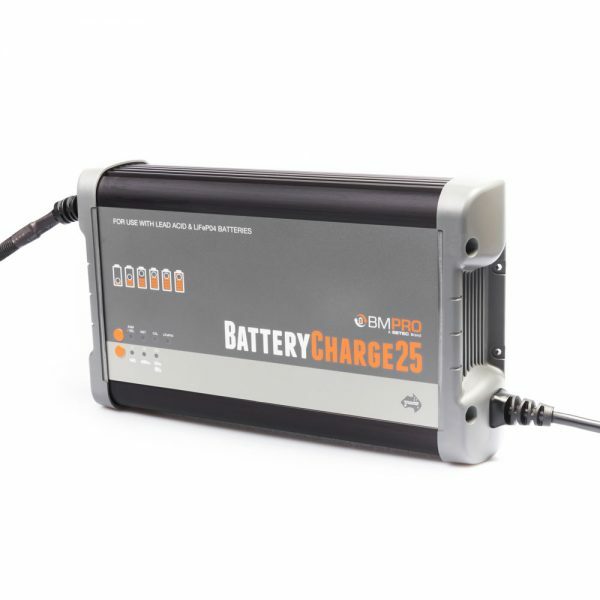 Use BatteryCharge25 to service your car, caravan, bike, truck, boat, jet ski, as well as farm equipment or communications. The portable battery charger has protective circuits to prevent it from sparking and overheating. 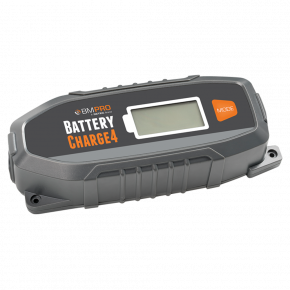 It also features an informative LED interface, which indicates the stage of the charge cycle, selected battery chemistry, and battery charge rate. 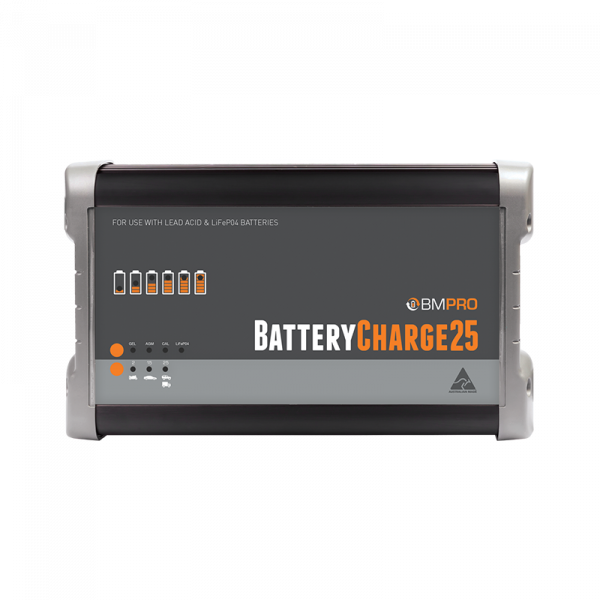 25 Amp battery charger will increase your battery’s life and performance. It is multistage with seven stages, which are: desulphation, soft charge, bulk charge, absorption, analysis, recondition, and float. 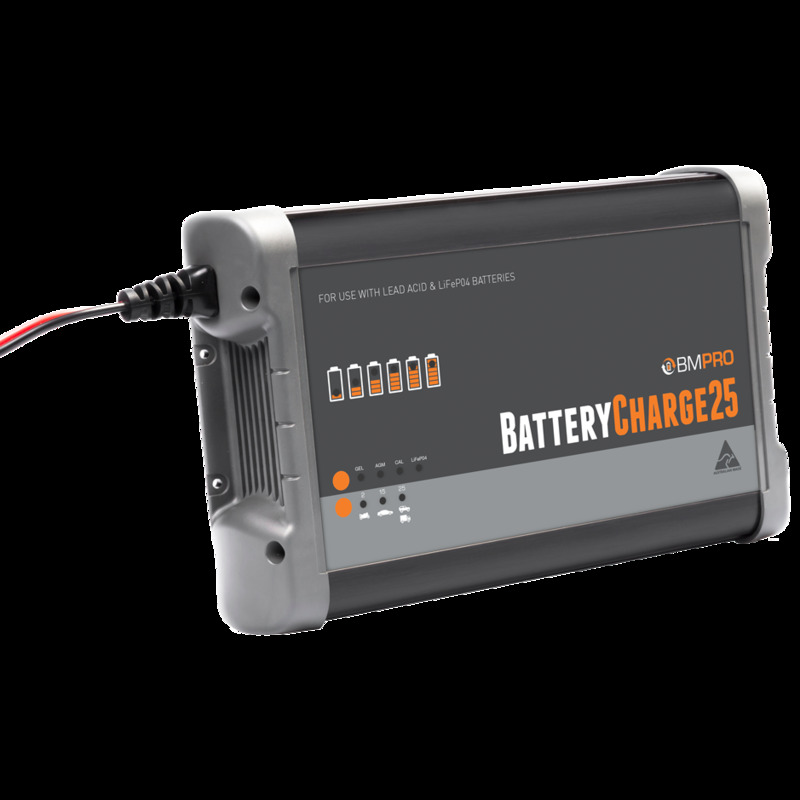 Use the charger in power supply mode with a constant voltage of 13.6VDC or up to 20A. 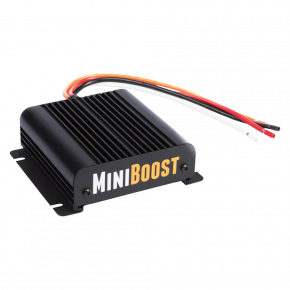 This is to power appliances or tools that are otherwise 12V battery powered.